The third year of the Windhammer Prize competition is now underway. Five short gamebooks are available for free download, and you can vote to determine which author wins the cash prize! If you’re a fan of solo adventures, take the time to check it out here. If you’re really ambitious, perhaps you’ll be inspired to start planning an entry for next year’s competition! In case you missed out on the first two years, the third annual Windhammer Prize is posting its rules and schedule early to allow plenty of time for writing and judging original gamebooks. While this hasn’t quite reached the scale of the computer-based Interactive Fiction Competition, it’s a similar opportunity to be creative in a medium with a lot of potential, and I hope it keeps growing. Do your part and check it out! Oh, and did I mention the cash prize? If you plan to give gifts this holiday season – or better yet, receive them – you’ve surely been perusing local stores and forming a list. The Cave dwellers have done the same, in the third section of our OgreCave Christmas Gift Guide 2009. This portion, the Twelve Boxes for Christmas, focuses on board games, in the hope of guiding some of your big-ticket expenses toward enjoyable gaming choices. All that remains is our traditionally last-minute PDF/downloadable product list. We’ll be sure to drop it down your chimney when you’re least expecting it. … No, that’s not a euphemism for anything! Sheesh! Another weekend of holiday shopping is here, and you’ve probably formed some ideas of the larger-cost items you’ll be picking up (or requesting from others). In case your mind’s not quite made up yet, the OgreCave Christmas Gift Guide 2009 continues with its second section, Twelve Days of Roleplaying. This list of gift suggestions is entirely RPG related, and the Cave dwellers have chosen a range of roleplaying goodies that would make great gifts. Our board game list will be up shortly (work and sickness have caused delays), followed by our traditionally last-minute downloadable product list. So listen closely each night – those bells might be a jolly Ogre… or more likely, an Ogre stepping some other jolly critter. Variety.com reports that Convergence Entertainment has secured the rights for a live action Lone Wolf feature film. Joe Dever’s classic fantasy gamebook series has already made the transition to full roleplaying game through Mongoose Publishing, but the leap to the movies is a big step. Convergence also secured the rights to produce a Gungrave film, based on the anime series which has already spawned two PlayStation games. According to the story, Convergence plans each film to have “budgets in the $30 million-$35 million range”. If the project comes to fruition, this could be interesting – or another good idea mangled by Hollywood. We’ll see. A pair of lovely new reviews have just gone up in our RPG section. First, Demian has become acquainted with the new edition of Dragon Warriors from Magnum Opus Press, and he clears up why the RPG used to be mistaken for a gamebook. Then Gerald joins our illustrious (dubious?) Cave-dwelling crew with his review of Dungeon Crawl Classics #61: Citadel of the Corruptor from Goodman Games. Have a look at these write-ups, or browse through our review index for much more. Still a significant publisher in tabletop gaming, Mongoose Publishing has just given its fans a status update in the form of its annual State of the Mongoose report (also copied below). Points of interest include plans for Hammers Slammers, a full color Traveller-powered game based on David Drakeâ€™s classic sci-fi series; a 25th Anniversary edition of Paranoia; the end of the Babylon 5 line and license; new supplements for Wraith Recon; a multiplayer Lone Wolf gamebook; and plenty more. Add in an overview of what Mongoose went through in its (ultimately failed) attempt to set up its own printing facility, and I’d say the current state of the Mongoose is “surly and determined”. This year, the home of the free online Chronicles of Arborell gamebooks is hosting a competition to encourage new authors. All the entries are in, and readers are now encouraged to take a look and vote for their favorites. The adventures begin here. Take a look, put in your votes, and think about contributing if this rolls around again next year. I’d love to see gamebooks get their own competition as large and interesting as the computer-based Interactive Fiction Competition, which is also in the voting stage at the moment. 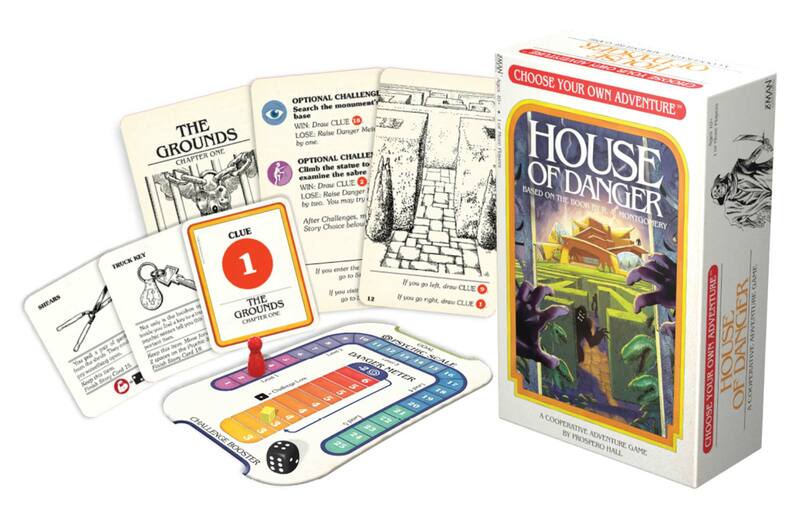 It isn’t often that we link to an AOL feature article, but their list of the top 20 Choose Your Own Adventure gamebooks is somewhat entertaining. We lend even more credence to the list due to the author thanking Gamebooks.org, a site created and run by OgreCave’s longtime staff member and gamebook specialist, Demian Katz. Good to know some AOL writers recognize quality when they see it. You are currently browsing the archives for the Gamebooks category.